This is stamped Jun 1912 and has information about the wreck of Titanic. With details of tonnage, builders & number of decks etc. This is exactly what the item will look like. RMS TITANIC. Ninety Nine Year old British Threepence Coin from 1913. 1913 Three Pence Coin. Before decimalisation brought about a new currency with new coinage, the sum of three pence was pronounced variously /ˈθrʊpəns/throop-ence, /ˈθrɛpəns/threpp-ence or /ˈθrʌpəns/thrupp-ence, reflecting different pronunciations in the various regions and nations of Great Britain. 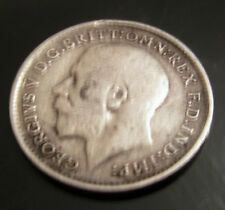 A One Hundred Year old British Threepence Coin from 1912. 1912 Three Pence Coin. Starting at its monetary value one Penny.With No Reserve. Solid 0.925 Silver. Real Copper Body Classic Antique Model Show Concept. At Battersea Town Hall in London. Work on Titanic started soon after, on 31 March 1909. These magnificent vessels were the industrial marvels of their age and Titanic was to be the biggest, fastest and most luxurious liner yet. Modernism Modern Rare 1930 - 1940 Retro Concept Car. 1 x Valor wick for No 65s Boiler stove Wick. 2 x Coal Tar tablets. W&H Gidden Special Edition Brief Case Old Vintage Box Antique. Condition is Used. Dispatched with Royal Mail 2nd Class. Modernism Modern Car Concept 1930 1940 Rare. Modernism Modern Car Concept 1930 1940 Rare. Dark Blue Art Deco Era Auto. On 28 July, the conflict opened with the Austro-Hungarian invasion of Serbia, followed by the German invasion of Belgium, Luxembourg and France; and a Russian attack against Germany. After the German march on Paris was brought to a halt, the Western Front settled into a static battle of attrition with a trench line that changed little until 1917. Made of Fine Pewter. indicative of 1930's stylization imbued in concepts such as Futurism and Art Deco. 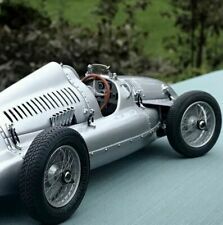 Art Deco Era Pre-WW2 French Luxury Race Sport Car. Large 1:12 Scale Precision Fine Pewter Sculpture. 1940s ART DECO LARGE HEART-SHAPED LOCKET & NECKLACE Set Used. AS SHOWN. BATTLE OF HURTGEN FOREST (PAGES 33-36). Dated January 1ST, 1945 1-1-45. Life magazine is one of the world's most recognizable publications. I have sold to the. The magazine has gone from being simply another magazine to a sought-after collectible. Maker marked however I can't quite make it out (???????. Sold as it sits, uncleaned and not taken apart. Cool piece. ). 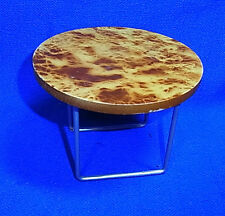 Table, Desk or Shelf Art.Rolling Sculpture. It has a pebbled black exterior and a paper lining. There is a center lock and two side latches. The handle is made of leather. A suitcase can be used for decoration or storage, the handle's is still very good. BRADENTON, FLORIDA. She lit a candle & a hush fell over the entire camp making this a priceless piece of goods. We all had a wonderful celebration afterwards complete with tambourines and the entire caravan danced around a sizzling fire.